The sleepy town of Sayre, Pennsylvania, was the site of an archaeological excavation over a century ago which uncovered one of the most fantastic finds in history-- skeletons of an ancient race of giants who had horns projecting from their foreheads. The bones were sent to a museum in Philadelphia where they mysteriously vanished and haven't been seen since. At least that's the story that has been told in many books; a story which has captured the imaginations of millions, from fans of the unexplained to Biblical archaeologists who point to these horned beings as proof of the Old Testament giants known as Nephilim. And now, a recently found copy of a rare book published in 1908 puts to rest this mystery once and for all. It appears that the account of the Sayre excavation has been skewed by various re-tellings. The story of the horned giants as described in Real Aliens, Space Beings, and Creatures From Other Worlds by Brad Steiger (Visible Ink Press), Weird Pennsylvania by Matt Lake (Sterling Publishing, 2005, pg. 68) appears to be a nearly-identical retelling of the story mentioned in an earlier book written by Sue Crawford in 1992, Mysteries of the Unexplained. Search for this book online and you'll see that it was specifically written for a juvenile audience, rather than an adult audience. Further research reveals that Crawford's "source" for the story of horned giants came from a 1973 issue of Pursuit Magazine, a fringe publication popular in the 60s and 70s which was a forerunner to supermarket tabloids like Weekly World News (which featured headlines such as "Hillary Clinton Adopts Alien Baby" and "Bat Boy Found in Cave"). 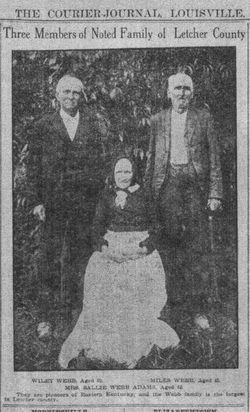 "A large cemetery of these people was found near the mouth of the Chemung River, near Athens PA in which 57 skeletons were discovered. With the skeletons were whole and broken pottery vessels, native clay pipes, triangular arrowheads of stone, and a few trade articles"- A.B. Skinner, American Anthropologist, Volume 21. "We found a few scattered fragments of pottery on the surface. Nothing whatever in any of the test holes which we dug…", "All of the members of the expedition were disappointed in the very poor results in the investigation"- G.P Donehoo, in his 1918 report to the Pennsylvania Historical Commission. "Judging by the thighbone, he must have been seven feet tall. The skull was much larger than usual, very thick, the forehead unusually receding, the top flattened." The only mention of horns comes in Moorehead's report of the 1916 excavation. Of the 57 skeletons discovered, one was adorned with deer antlers. Coincidentally, the Susquehannock tribe referred to the nearby Chemung River as "Big Horn", because of the great number of mammoth and mastodon tusks which have been found in the area. 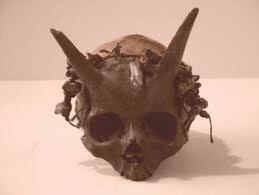 The creation of the Horned Giant myth may also have been influenced by an addition to Philadelphia's famous museum of medical oddities, the Mutter Museum, which opened in 1858. 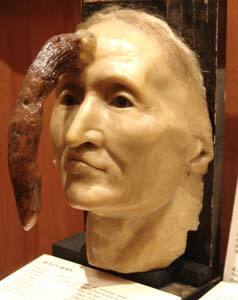 Around the time of the Athens-Sayre excavations, the museum put on display a wax model of a French scrubwoman from the early 19th century named Madame Dimanche, who had a 10-inch horn growing out of her forehead. These human horns, known medically as cornu cutaneum, are made of keratin, the same protein found in hair and fingernails. The horn made Dimanche a celebrity, so it's possible that the myth of the Horned Giants (whose bones were allegedly stolen in Philadelphia) may have been influenced by these contemporary events. Were the Susquehannocks a tribe of giants? By 19th century standards they probably were, although today they would be no more mysterious as a team of pro basketball players. Captain John Smith, of Jamestown Colony fame, wrote of his encounter with the Susquehannocks in his journal between 1607 and 1609: "60 of those Susquehannocks came to us...such great and well proportioned men are seldome seene, for they seemed like giants." Smith goes on to describe the proportions of the chief: "The calfe of whose leg was of a yard around and all the rest of his limbes so answerable to that proportion that he seemed the goodliest man we ever beheld!" In his 1912 book Tales of the Bald Eagle Mountains, historian Henry Shoemaker writes about a seven-foot tall statue of a Susquehannock princess carved from flint which was discovered in 1865 near McElhattan (p. 208-211), not far away from where the "horned giant" skeletons were discovered. Unfortunately, this myth has been perpetuated by many religious groups and supernatural researchers who point to the Sayre excavation as proof of Biblical giants known as Nephilim. Some even view these mythical giants as proof of the 2012 apocalypse. And part of the blame goes to authors who care more about selling books than doing actual historical research or fact checking. The story of the Horned Giants has been touted as fact by countless websites, and talk of these giants have created quite a stir in recent years since the publishing of Matt Lake's Weird Pennsylvania but it's apparent that they all trace their "research" back to the original faulty source. How do we know? Simple, because in every story about the Horned Giants you read, they have all misspelled the name of Warren Moorehead (one of the world's greatest archaeologists) as "Morehead". The Trumpet Blasts of the Apocalypse?